The last meeting of the Society took place on Monday 20 April. 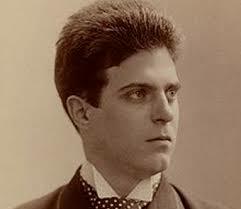 It focused on the Italian composer Pietro Mascagni. He was the son of a baker in Lavorno and studied at the Milan Academy. He lived from 1863 to 1945 and in the 1930s and during World War II worked reluctantly, and with difficulty, under Mussolini’s fascist regime. He wrote 15 operas and one operetta. In England we tend to remember him only for his one-act opera Cavalleria Rusticana, the piece that made him famous overnight and gave him financial security for the rest of his life. At its first performance it received no less than 60 curtain calls. In his native Italy and elsewhere in Europe his works are better remembered and the presenter Ron Seaman played us some examples. He was seen as the heir to Verdi but as time went on, it was Puccini who wore that mantle. Among the pieces played were Mein ester Walzer, my first waltz; the Apotheosis of the Stork; and the ballet music for Fiori del Brabante. We also heard extracts from Cavalleria including the final scene; Intermezzo and the Easter Hymn. We also heard extracts from his last opera Nerone. 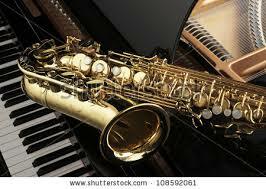 He is a composer who made it big early in his life and yet did not quite follow it up as he matured. Listening to the range of his work it was perhaps surprising that he never composed film scores as some of his compositions, which had strong melodic lines, could have been adapted. It was interesting to hear some works not often performed to gain a wider perspective of this composer.